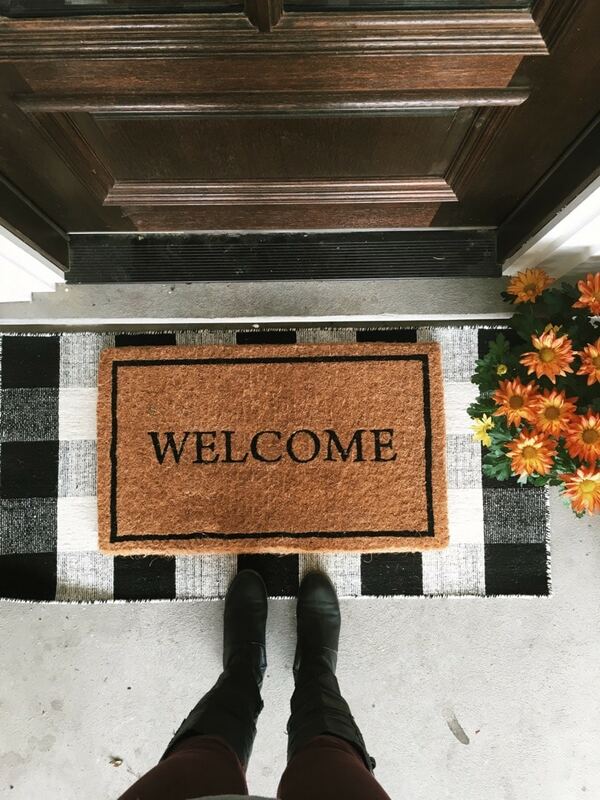 Welcome to Smart School House! 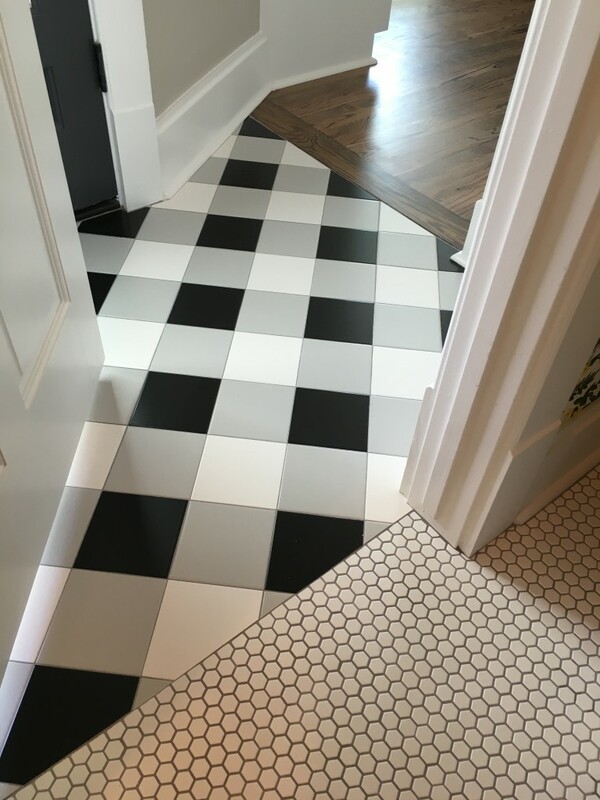 We recently bought a new house and I’ve been doing a lot of decorating. While I’ve purchased a lot of new furniture, I’m far from being done and it will probably take me a couple years to decorate everything the way I’m envisioning. 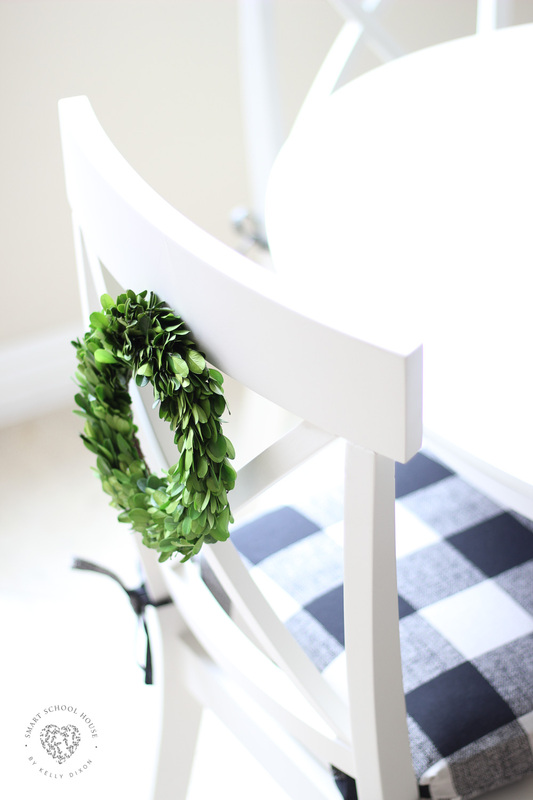 Today I’m sharing a small space I recently finished and I’m in love! 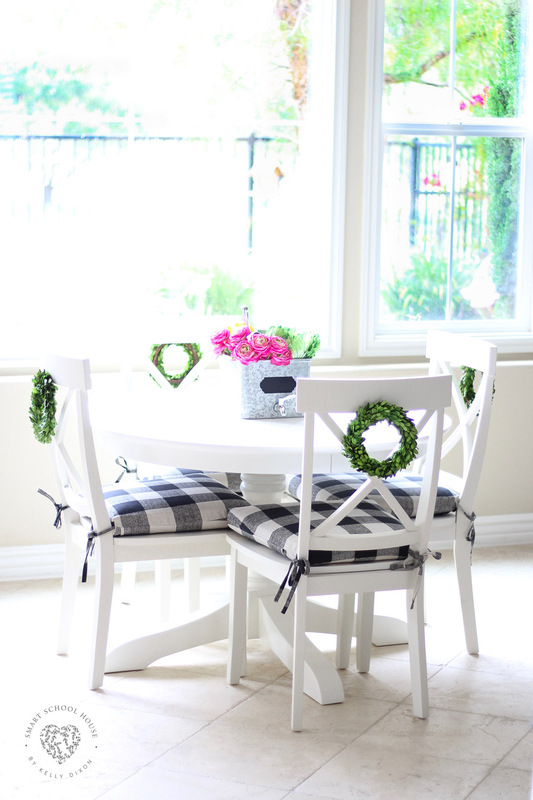 Our buffalo check dining chairs were the perfect addition to our new breakfast nook table. The dining room table from our old house, which also happened to be relatively new, is now situated in our formal dining room. We added a leaf to that table as well as a couple of chairs. 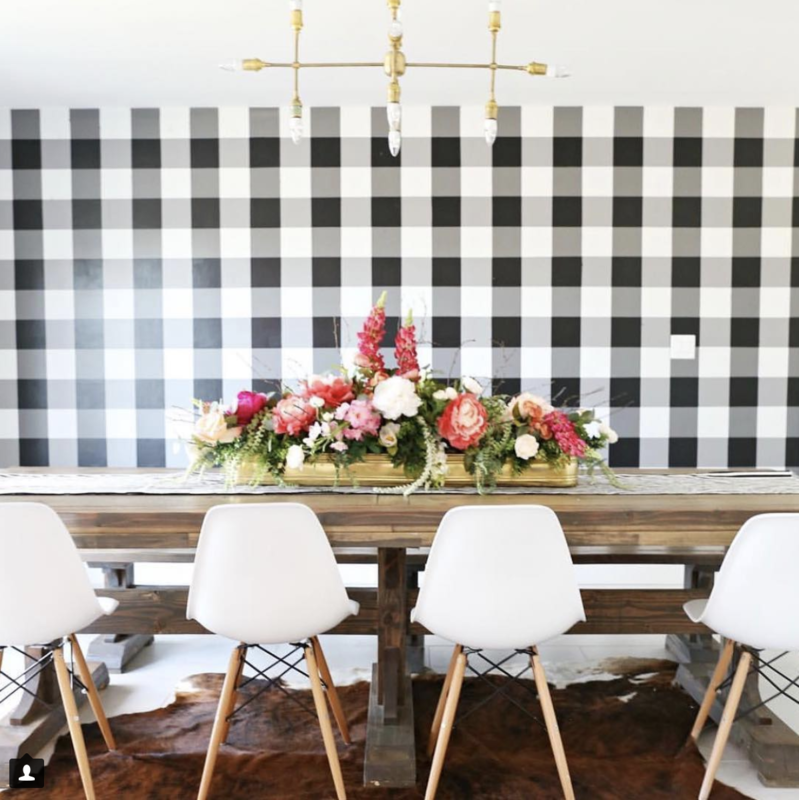 For now, I’m really happy with this informal dining area near the kitchen with the buffalo check dining chairs! 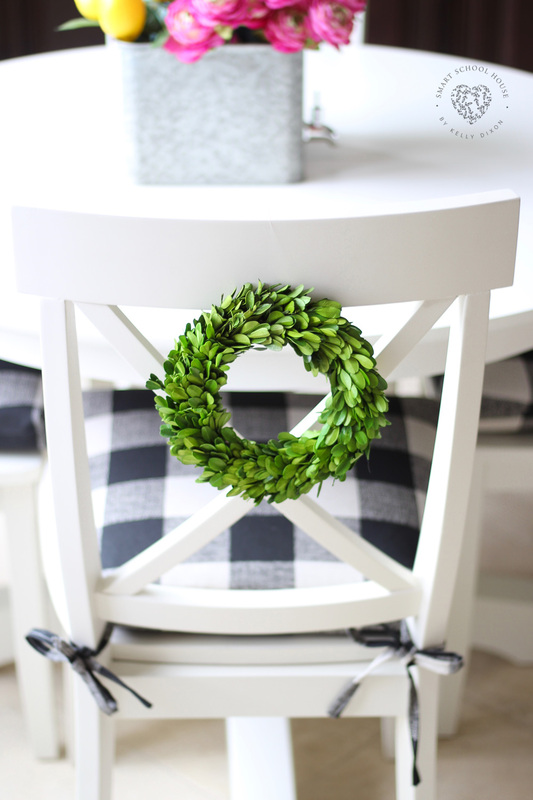 Because I think boxwood greenery (or any greenery for that matter) looks fantastic with the simplicity of the gingham pattern, I added little boxwood wreaths to the back of each chair. 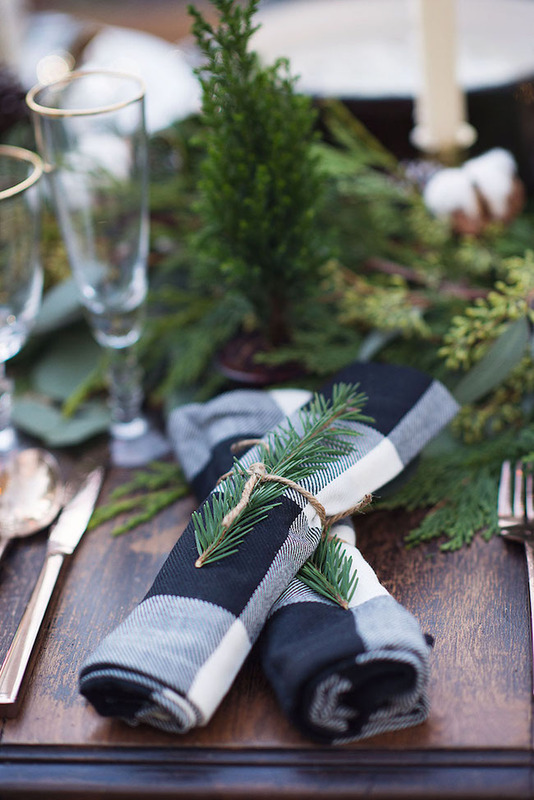 I LOVE the way it makes an informal dining room table look put together. 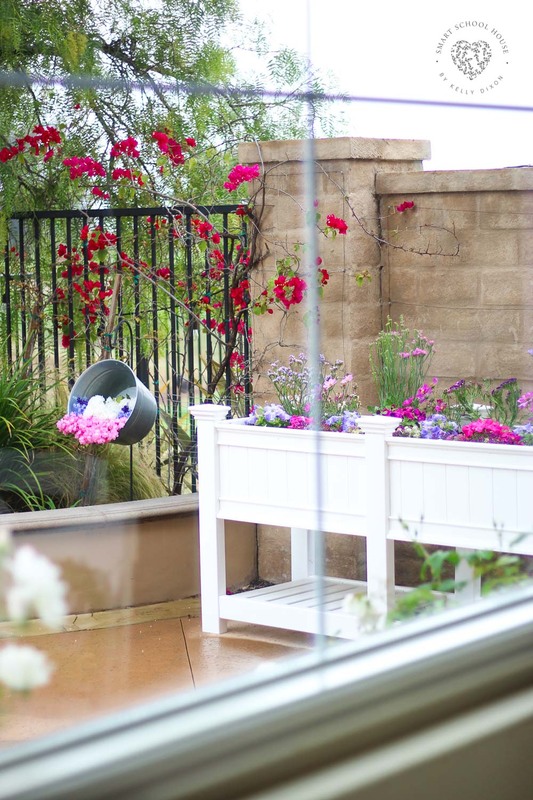 If you’re sitting in the char pictured above, you can see the new flower garden I planted outside. It’s so colorful even on a rainy day like today. The rest of the chairs look out to a golf course. It’s so quiet and serene! I made the hanging galvanized tub at our last house. You can see more of that here. I purchased the small 9″ preserved boxwood wreaths here on Amazon. My dining room chairs were purchased here on Birch Lane. 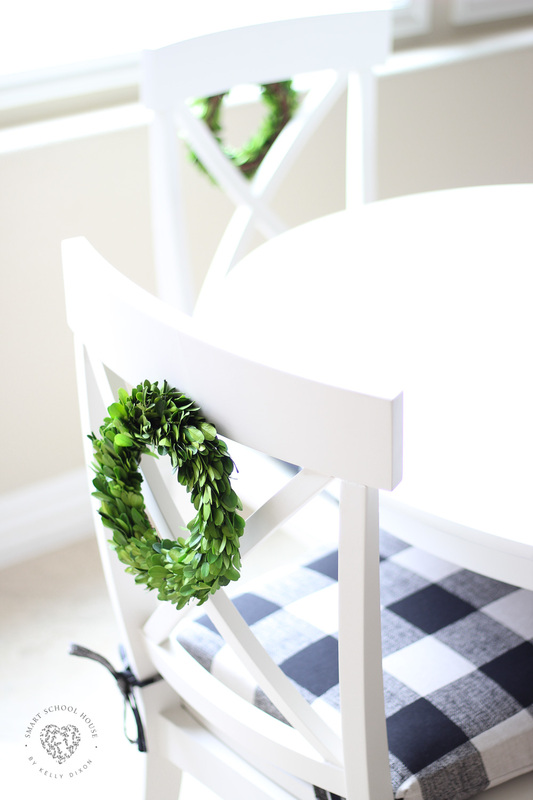 Our round white dining room table was purchased here from Pottery Barn. The buffalo check seat cushions were made here on Etsy. 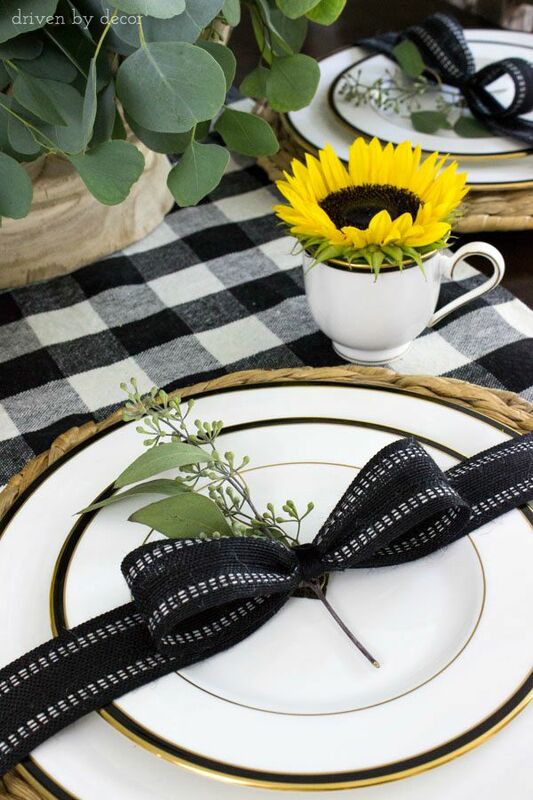 I kept the centerpiece simple, easy to move around, but full of color for spring and summer. The flowers stay in place with a little bit of floral foam a the bottom of the drink dispenser. 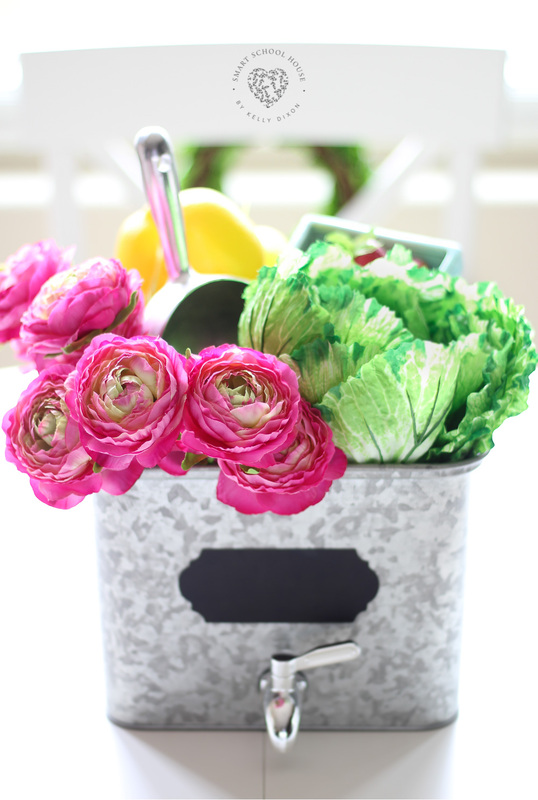 The galvanized drink dispenser is from Walmart and the flowers, fruits, and veggies are from Hobby Lobby. 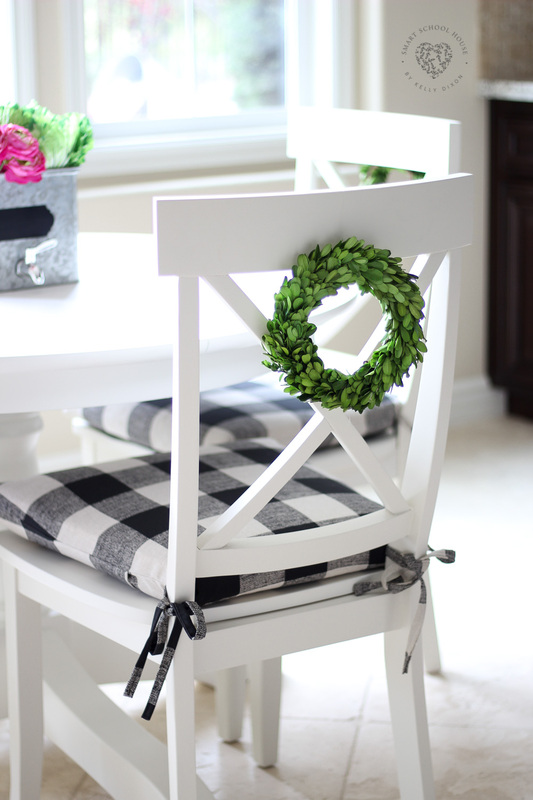 Here are some other buffalo check decorating ideas I’m loving!